Congratulations to our Prep boys, who celebrated 100 days in Prep last Friday. What an achievement – 100 days older and 100 days smarter! The boys brought collections of 100 small items to school to share and count, and made 100th day glasses with a mathematical flavour. It is a pleasure to watch boys grow and develop in so many facets of life – and in Prep, it’s dramatic, particularly in the second half of the year. 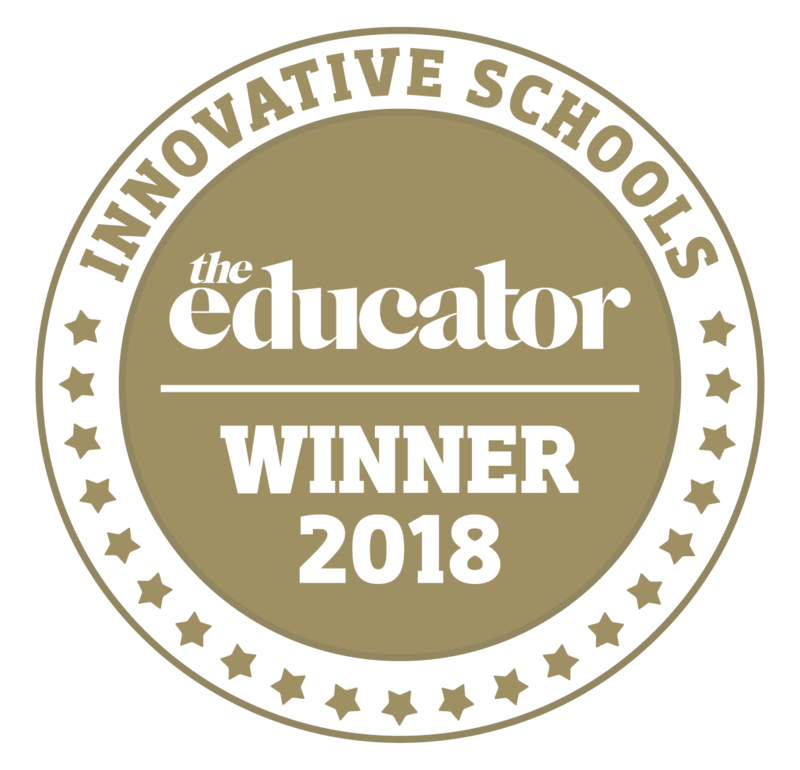 Thank you to Samara Madden and Paul Strain for the wonderful learning environments they provide, and to all our parents for their continued support. Our Choral Concert on Tuesday afternoon was outstanding. The pride, passion, spirit and sense of team was very evident. The variety of experiences provided by our Music Program allows the boys to express themselves creatively and for each boy’s creative talents to be celebrated by his peers. Music plays an important role in shaping the culture of BGS and the standard is impressive. ‘The Journey’ concerts are an excellent opportunity for our boys and parents to see the opportunities provided across the Junior and Secondary Schools. Congratulations to the Year 5 boys and Borwick House Choir, and special mention to our soloists, Gavin Barnedt and Ethan Rowe, and comperes, Jackson Chen and Tom Jorgensen. Thank you to Hayley Blakiston for her great work and to Jared Furtado for his excellent leadership as Director of Music, Head of Choral. 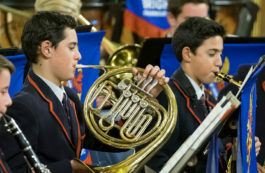 It was wonderful to see so many parents and family members enjoying the concert – thank you for your continued support. Tickets are selling fast for the JPG Gala Ball on Friday 7 September at Maia, Central Pier, Docklands. This is our major fundraiser for 2018 and all dollars raised will assist with the refurbishment of our Drama space, with new AV/PA equipment, tiered seating and learning spaces created. The Ball has always been a highlight on the social calendar for parents and a great night for all involved. Many thanks to our sponsors: Atlantic Group, Lexus of Brighton, Ivy & Eve Flowers, Shaw and Partners, StarRez, Green & Sternfeld, Brighton Travelworld and Noone Imagewear. See JPG News section to book tickets. To raise and educate boys, parents and teachers need to have a significant understanding and appreciation of what makes boys tick. I often tell staff that boys “learn teachers, not subjects”. You can be the best mathematics, English, science, PE or art teacher, but if you don’t understand boys, you will not be an effective teacher. Teachers must like boys, as approval is at the heart of working successfully with them. Boys need a sense of connectedness and belonging, to feel a part of ‘the team’. If boys sense that their teacher like them, they will work hard and respond positively to their learning environment and the challenges they face on a day-to-day basis. We are fortunate that our teachers at Wilson House have a thorough understanding of what makes boys tick. Thank you to all parents for supporting our Parent–Teacher Interviews last week to ensure that the boys’ learning and progress remain our focus for Semester 2. A reminder to families who have not yet updated their son’s personal and medical details via Consent2Go. To assist with the implementation of our new integrated system, please ensure all details are up-to-date as requested. Our next Ute Full of Food will be on Friday 24 August. Items particularly requested are: breakfast cereals, sugar, jams and spreads, pasta and pasta sauce, rice, noodles, biscuits, tins (of vegetables, fruit or fish), meals-in-a-can, toilet paper and bathroom supplies. This week started off with our ELC4 classes having a combined session in the Wellbeing Centre. We focused on mindful breathing, yoga poses and being present in the moment. It often surprises me how well the boys respond to the Mindfulness Program at such a young age. Having 40 boys focused on this vital daily practice is quite inspiring. However, I am a realist, and their urge to release a subtle squeal, stomp a foot whilst tiptoeing, or ‘accidentally’ fall over in the middle of the downward dog pose reminds me of the saying, ‘Boys will be boys’ – and how we love that in them! We have also been encouraging healthy eating and ‘brain food’, especially at morning tea time. We will be reviewing this policy in the next fortnight and value your feedback. More information to come. We have enjoyed reading through your collaborative reflections on your son’s Individual Portfolio and thank you for your prompt return. We know how valuable it is to have time to read through this documentation and value your feedback. Classroom teachers have emailed out your son’s Individual Learning Intentions for this term. If you have not received these, please see me or email me (abarrow@brigtongrammar.vic.edu.au). It is important that you are aware of our term goals, as we report on these at our Term 3 Parent Teacher interviews. All programs and journals can now be accessed on The Hub. This is a great resource, enabling you to access fortnightly planned experiences and reflective practice documentation. If you have any questions on how to access The Hub, please let us know. This information will not be emailed out to families moving forwards. Important dates for the remainder of Term 3 have been sent out on School Stream this week, and are also displayed in the ELC foyer. This includes Book Week celebrations (with a dress-up day on Thursday 23 August), our ELC Fathers’ Evenings (ELC4 30 August 5.30–6.30pm and& ELC3 6 September 5.30–6.30pm) and Parent–Teacher interviews. If you have any questions, please do not hesitate to ask your son’s classroom teachers or me. A reminder that the mid-term break is on Monday 20 August. The Centre will be open for our 48-week long-day care boys only. Lunch orders will not be open on this day as we will be operating a holiday program. Last Friday, the Preps celebrated 100 Days of Prep. This is a huge milestone in the boys’ education and provides an opportunity to reflect on just how far they have come during the six-month period. Boys celebrated by participating in 100-themed activities, including building a tower using 100 blocks, ordering 100 objects and writing about what they think they will be doing when they are 100! Boys also made ‘I’m 100-days smarter’ crowns, which they proudly wore all day. Congratulations to all the Prep boys and their parents! On a bright and sunny morning, the Year 2 pirate crew headed off for their seafaring adventure. On arrival at South Wharf, they had a meet and greet (Ahoy!) with their crew leader. The boys then walked up the gangplank and boarded the Polly Woodside. First, they were shown their sleeping quarters. There were eight small bunk beds. How would they all fit? Half would work while the others slept. Each group was to sleep for six hours then work for six hours, on continuous shifts (‘Growl You May, But Go You Must’). Next, the boys received instructions for their jobs on board. At the bow of the ship, they were shown how to use the bell and why it was so important. Below deck, the boys tested the skills required to climb up to the yardarm and tend to the sails. After seeing the Captain’s quarters, the crew climbed up the stairs, back to the deck, and walked to the Quarter (Poop) Deck at the stern of the ship. Here, they learned how to use the wheel to steer the ship. They had to work in pairs to turn the massive wheel. Lastly, the boys moved to the right (starboard) side of the main deck and practised ‘scrubbing the deck’ as a team. They then disembarked and went to the Polly Woodside Museum. Here they watched a movie about the ship, which took them on its last sea voyage. Before leaving, the pirate crew had to test their ‘sea legs’ in the ship rocking simulator. What a great day and a great adventure! Q: What has 196 legs, 98 heads and exclaims “Hear, hear!”? A: Our 98 Year 6 boys on a learning immersion tour of Canberra. We spent five days and four nights undertaking hands-on on effective learning across a number of integrated learning domains. Science and Civics and Citizenship were the two main foci. Science-based visits included an interactive learning experience utilising QR codes and teamwork at the CSIRO. Boys learned through exploring the answers to scientific questions about topics varying from flora and fauna to scientific discoveries. Housing over 200 educational and interactive exhibits, Questacon seeks to make science fun for all and didn’t disappoint as the boys wound their way from one learning experience to the next. Where better to learn about the Constitution than the High Court? The boys’ questions reflected their interest and thirst for knowledge. The Museum of Australian Democracy, incorporating a visit to Old Parliament House, segued into learning about our how legislation is created. Having the opportunity to role-play parliament in Parliament House is an interactive learning experience allowing immediate feedback. 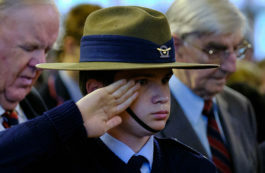 An unforgettable experience was the visit to the Australian War Memorial and the tomb of the Unknown Soldier. This memorial encapsulates the BGS values shown by our men and women during war: integrity, respect, passion and accountability. A fitting end to our tour was a visit to Government House and the opportunity to visit the rooms in which sovereigns and ambassadors have dined, heroes have been celebrated and historical political events have taken place. The engagement of the boys throughout our time in Canberra was of the highest level. Invaluable academic, social and emotional learning took place and the learning journey will continue in our Year 6 classrooms. The boys were certainly wonderful ambassadors for BGS. Don’t miss out on the BGS Junior School social event of the year! The Gala Ball will be held on Friday 7 September at the Atlantic Group venue MAIA, Central Pier Docklands (click here to view this incredible venue). The Atlantic Group was recently awarded the prestigious Savour Australia Restaurant and Catering Hostplus Award for Victorian and Tasmanian Caterer of the Year. The ticket price includes a sumptuous dinner starting with canapes, followed by three courses and served with quality sparkling, red and white wines as well as beers and soft drinks. Also included is an entertainment package – a fabulous band, DJ, photographer and photobooth. And a little extra for the ladies – a pamper bar for professional make-up touch-ups throughout the night! ASPIRATIONS (now situated at 329 Bay Street, Brighton) is offering Ball guests 15% discount. ASPIRATIONS are specialists in evening wear known for exceptional service and helping clients look their best. To be eligible to receive the discount, just mention the BGS Gala Ball. Further. ASPIRATIONS will keep a record of the dresses purchased so that no two ladies will be wearing the same dress on the night! Runway Room has generously offered 25% off hair and make-up packages for the Ball. The Runway Room Salons have gained a reputation as the ‘go to’ place for Hair and Make-up, especially for events and any special occasion. Click here to view the voucher. The Ball finishes at midnight but the party will continue at The Den @ Crown Entertainment Complex. A bus has been arranged to ensure that getting to the after party is easy. Book your seat on the bus when booking your Ball ticket.